UN sanctions monitors determine that Iran violated a UN Security Council resolution by test firing a ballistic missile. Iran violated a UN Security Council resolution in October by test firing a missile capable of delivering a nuclear warhead, a team of sanctions monitors said Tuesday, according to Reuters. 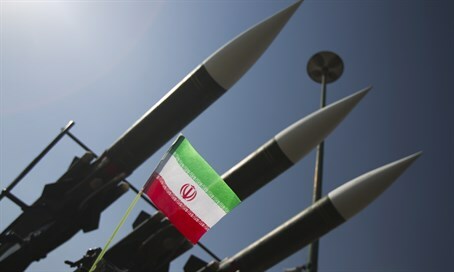 The White House warned that it would not rule out additional steps against Iran over the test of the medium-range Emad rocket. The Security Council's Panel of Experts on Iran said in a confidential new report, first reported by Reuters, that the launch showed the rocket met its requirements for considering that a missile could deliver a nuclear weapon. "On the basis of its analysis and findings the Panel concludes that Emad launch is a violation by Iran of paragraph 9 of Security Council resolution 1929," the panel said, according to the news agency. Shortly after Iran’s October missile test, White House spokesman Josh Earnest said Iran likely violated UN sanctions, but stressed that the test would not affect the implementation of the deal reached with world powers. Nevertheless, the United States, Britain, France and Germany subsequently called for the Security Council's Iran sanctions committee to take action over the missile test. Diplomats say it is possible for the sanctions committee to blacklist additional Iranian individuals or entities, something Washington and European countries are likely to ask for. However, they said Russia and China, which dislike the sanctions on Iran's missile program, might block any such moves. According to Reuters, the panel's 10-page report was dated December 11 and went to members of the United Nations Security Council's Iran sanctions committee in recent days. The report came up on Tuesday when the 15-nation council discussed the Iran sanctions regime. It said the panel considers ballistic missiles capable of delivering nuclear weapons to be those that can deliver at least a 500 kg (1,102 lb) payload within a range of at least 300 km (186 miles). The panel noted that Iranian rocket launches from 2012 and 2013 also violated the UN ban on ballistic missile tests. The report came days after officials told Fox News that Iran tested a ballistic missile for a second time on November 21. The American Ambassador to the UN, Samantha Power, later said Washington was reviewing reports of the Iranian test, and hours later an American official confirmed the test took place and said other undeclared tests occurred earlier than that. Asked about the panel's report, British UN Ambassador Matthew Rycroft told reporters it was "absolutely crucial that the Security Council upholds its responsibilities and does respond effectively to what appears to have been a breach." The expert panel did not mention the November 21 missile test, noted Reuters. News of the report also comes on the day that UN’s International Atomic Energy Agency (IAEA) decided to close its probe into whether Iran had developed nuclear weapons in the past. The IAEA resolution, approved by its board of governors, comes despite a December 2 report that concluded Iran had conducted "a range of activities relevant to the development" of a nuclear bomb until 2009.